Last week our hippo specimen was proudly placed in the menagerie, bobbing along in his lethargic way. Continuing with our wanderings through the animal objects Petrie brought back to Britain I will look at one of the most notorious and influential exotic animals: the Lion. I don’t need to describe a lion, we all know them, recognise them and have probably seen one in one form or another. 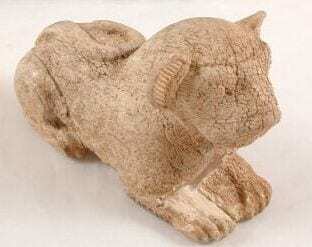 The lion is sadly extinct in modern Egypt, however Ancient Egypt would have most probably played host to a beast similar to the Barbary lion, a huge species which were hunted to extinction in 1922.